We escaped to Wrightsville Beach this weekend for a couple of nights so I made a bunch of stuff we could throw in a cooler for snacking on the beach. I had a number of tomatoes from my CSA delivery earlier in the week so I roasted them with an onion and some hot peppers to make some Chiltomate. 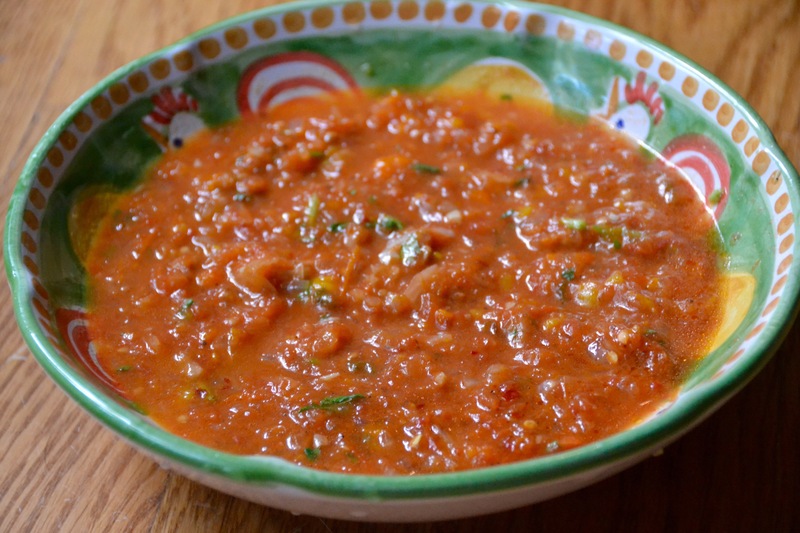 Chiltomate is a recipe native to the Mayans in the Yucatan peninsula of Mexico and is recognized as the first salsa in the world that uses cooked tomatoes. It has a unique flavor that is ten times better than any salsa you can buy at the grocery store. It’s spicy, sweet and smoky – perfect for chip-dipping or serving over enchiladas, huevos rancheros or grilled meat. as fruit juices and vegetable smoothies with no artificial flavoring or additives. the toxins being liberated from tobacco chewing and cigarette smoking. inside your system are flushed out.